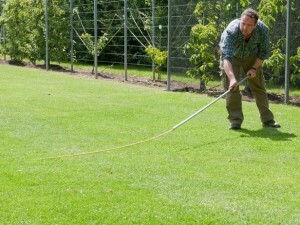 There are a number of tools to help you achieve perfect garden turf. See our list below for a list of tools to help you get there. 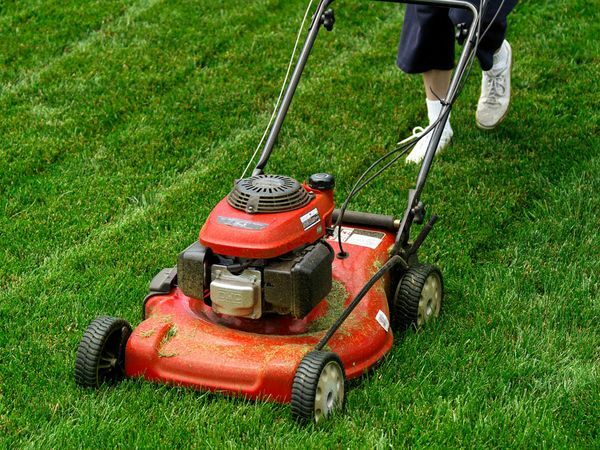 A lawnmower is essential to keeping up with lawn maintenance. There are different types available. You can choose between rotary or cylinder blades and many collect grass clippings as you mow. Many lawn mowers available are gas powered with more environmentally friendly lawnmowers also available. 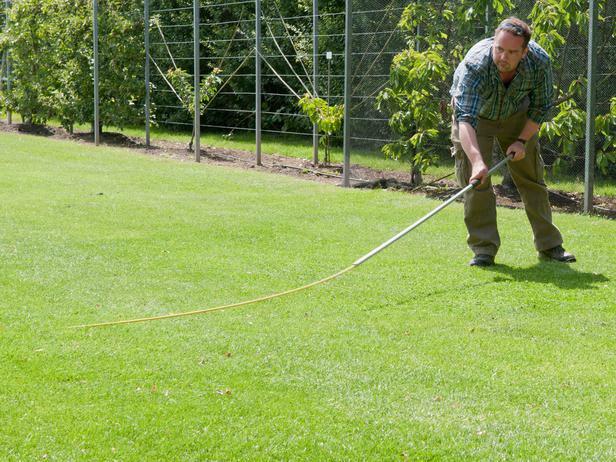 A string trimmer allows you to cut turf in areas that your lawn mower can’t reach. 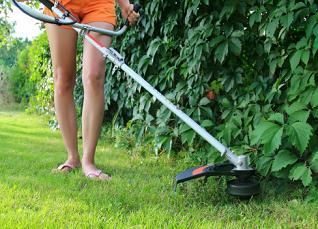 They are excellent to cut turf around walls, fences and patios especially useful around tight corners and when turf is overgrown. The turf is cut using a nylon string that rotates at high speed. 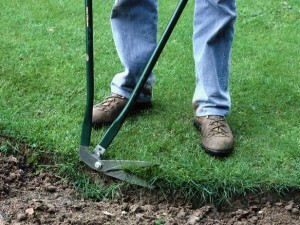 Edging shears are excellent tool to help you achieve a neatly edged garden turf and make trimming easy. Push the soil away from the turf edge and use the shears like scissors with only the cutting blade moving with the other blade keeping static. 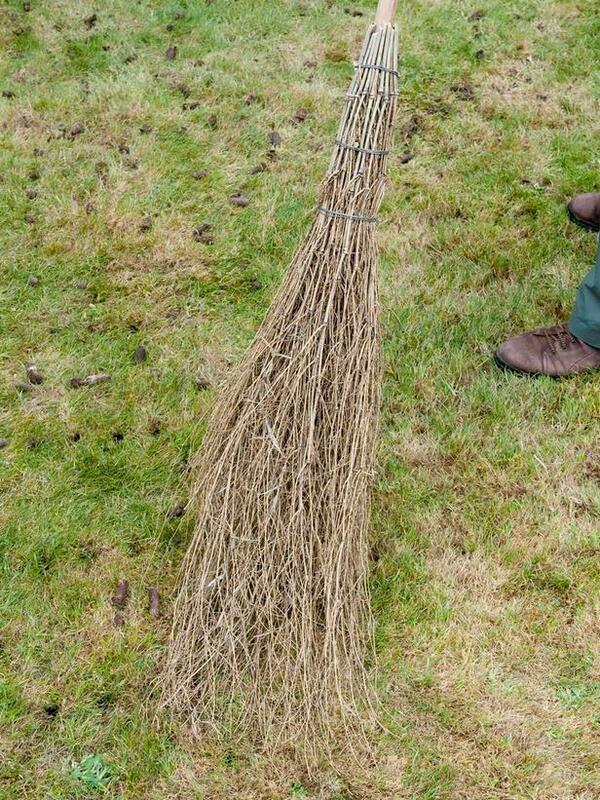 The besom is a useful alternative to a stiff broom. It uses a coarse brushwood to effectively sweep leaves off the surface of your garden turf in fall, remove grass clippings after mowing and sweeping top dressing into the holes after aeration. 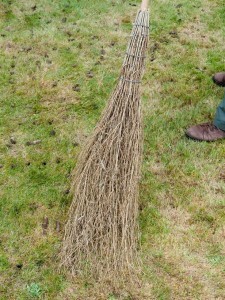 Besoms can be made by tying brushwood to a sturdy stick. 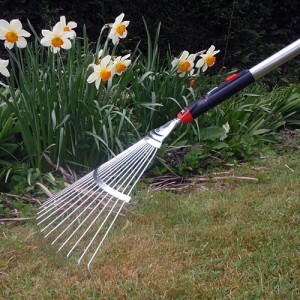 Wire-tined rakes are used to remove dead pieces of turf at the base of the plants known as thatch. To use vigorously scratch at the surface of the soil and should be used twice in two different directions. A switch is essentially a long, extended “whippy” rod, which is brushed over your lawn turf in a circular sweeping motion to remove the dew from the turf each morning to help your lawn turf to dry out. Using a switch is to help deter fungus and diseases which thrive in moist conditions and is also beneficial when it comes to ensuring that you only mow on a dry surface. It is ideal to dry turf that is under a shady area as the turf won’t dry out naturally.